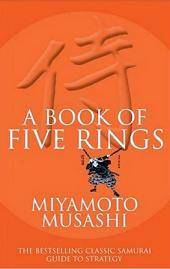 A book of Five Rings. Kendo, the Way of the sword, has always been synonymous with nobility in Japan. Since the founding of the samurai class in the eighth century, the military arts had become the highest form of study, inspired by the teachings of Zen and the feeling of Shinto. Schools of Kendo born in the early Muromachi period – approximately 1390 to 1600 – were continued through the upheavals of the formation of the peaceful Tokugawa Shogunate, and survive to this day. The education of the sons of the Tokugawa Shoguns was by means of schooling in the Chinese classics and fencing exercises. Musashi, pursued the ideal of the warrior searching for enlightenment through the perilous paths of Kendo, this is the book about his art. Kendo has always been synonymous with nobility in Japan. Since the founding of the samurai class the military arts had become the highest form of study.